The Public Distribution System (PDS) is an Indian food security system established by the Government of India under Ministry of Consumer Affairs, Food, and Public Distribution and is managed jointly with state governments in India. It distributes subsidized food and non-food items to India’s poor. Major commodities distributed include staple food grains, such as wheat, rice, sugar, and kerosene, through a network of public distribution shops, also known as Ration shops established in several states across the country. Food Corporation of India, a Government-owned corporation, procures and maintains the Public Distribution System. India has a Public Distribution System with over 600,000 shops that distribute subsidized food grains and other essential materials in villages every month. In the state of West Bengal, the entitlements of the beneficiaries can change every month, and can be different in each district. Thanks to this variation, beneficiaries often do not know how much rice, wheat or kerosene they are entitled to making it easy for them to be cheated by the dealers. Information on the entitlement of a person can be easily accessed through a photocopy from the government. We plan to help our partner disseminate this information through automated phone calls using a hosted Interactive Voice-Response (IVR) platform called kookoo.in. We are looking for people with php & mysql backgrounds in order to build the app that would interact with Kookoo. A technical partner will be available to work with the team. With the help of a regularly updated database of food items, prices and allocated amounts per district, an application can be set up where ration card holders call a number and key in their block code (every ration district is organized into blocks with unique codes). Once the app gets the block code from the caller, it can then read out the entitlements. This can also be performed over SMS, but tests on the field have shown that there is a preference for voice-based interaction, since SMS is still a relatively underutilized feature on older generation mobile phones. Some other common problems with SMS are: the sms inbox is usually full, unused, English literacy is a hurdle for SMS, low-cost phones manufactured in Chine do not display local language script and so on. Moderators and volunteers from the field can send a structured sms to populate the price/amount info every week to keep the database updated. impact on the ground level and at the same time earning a living doing it. can help address the issue before it becomes a serious community problem. providers which could save time and money and at times even save lives. 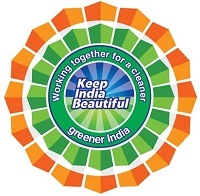 Our mission is to establish a sustainable trash collection, containing and disposal system involving residents, students, businesses and government in India. Motivate the community to keep their neighborhoods, villages and cities clean and disease free and be proud of it. We have come up with a plan systematically sort, collect, contain and dispose of trash. Mobilize a team of students and local people to do an initial clean up. Show them how to have an ongoing cleaning program managed at various levels. Provide ideas for proper trash sorting, composting, recycling and containing non-perishable trash in landfills. We have a 35 page project plan ready Find this report here. This will be tackled using a website touching every village, city and State and similar mobile app documenting location of trash with date, photos, GPS location (heatmap) on an interactive map putting pressure challenging them to keep their area always clean. Reaching out to every school, Panchayat, Municipality and City Corporations in India to join the initiative and take action in a timely way. Funding to provide initial supplies like trash pickers, trash bags, gloves and trash containers. Creating a social capital building (points and awards) system based on their volunteer services. Mobile Apps – in progress, will need User Interface. The National University of Educational Planning and Administration (NUEPA), established by the Ministry of Human Resource Development, Government of India, is a premier organization dealing with capacity building and research in planning and management of education not only in India but also in South Asia. It was seen that the educational statistics collected by the states were not only inadequate to meet the growing needs of the decentralized planning but were characterized by inordinate delays, highly aggregative and were not amenable to validation and reliability tests. Since school statistics formed the core of educational statistics, it was rightly recognized that major reforms in school statistics both in terms of their scope and coverage as well as availability and use have to be carried out. To solve this pain point, the District Information System for Education (DISE) was created. However, the data available on these websites and agencies isn’t easily accessible and have not contributed to the public debate on education in India, or spread awareness in individual districts about their district’s performance. We also don’t know how far each district and school is from fulfilling the goals of the right to education program, and what particular indicators are lacking, and thus, finally, what is needed to bridge the gap. The Center for Democracy, Development and the Rule of Law at Stanford University wants the hackathon attendees to attempt to develop a planning tool that can solve the pain points mentioned above. This can be through visualizations based on the data on the websites above as applets or mobile apps, and district based reporting mechanisms which help the citizens get involved with their district’s metrics, and demand better results! This planning tool can also be used to compare actual data from these districts with the expected performance and criteria listed in the Right to Education bill, and evaluate the best methods to improve and build compliance into the system. The term “cottage industry” is used when products are manufactured on a small scale. 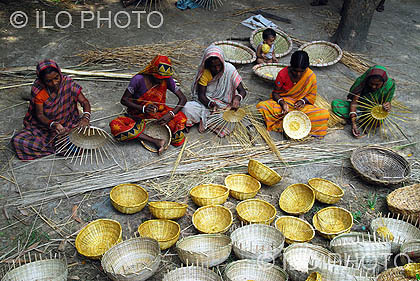 India is well known for its large number of traditional cottage industries. But with the advent of industrialization, cottage industries witnessed a sharp decline. Cotton weaving, carpet making, leather industry, etching, basket making, texile making, pottery, etc are some examples of cottage industry products. A cottage industry is often characterized by its enormous potential for employment generation and the person getting employed is basically regarded as a self-employed one. It has been empirically found out that cottage industry has given economic independence to the women in the developing as well as developed countries. The income of the manufacturers is harmed by middlemen who offer low prices to them but take heavy chunks of money from the buyers. These workers have given their whole life to stitching and knitting. The skill that they possess is just unmatchable. But still they are at the same place where they had started years ago. Well-known organizations like Khadi and Village Industries Commission (KVIC) is working towards the development and endorsement of cottage industries in India. Other premier organizations are Central Silk Board, Coir Board, All India Handloom Board and All India Handicrafts Board, and organizations like Forest Corporations and National Small Industries Corporation are also playing an active role in the meaningful expansion of cottage industries in India. What can we do to help Cottage Industries, avoid middlemen from taking away large chunks of profits, and help streamline resources and funds to these unmatchable skilled labor all over our country? Can we develop a common platform where a seller of retail cottage industry goods (for example, decorative pots, pretty etchings, hand woven clothes and carpets, etc) is able to directly sell his or her product to consumers without any middlemen? The seller can make much higher profits. Instead of building the brand name of a company, the sellers would brand themselves through the system. Based upon the quality and creativity of their product they would receive reviews from customers and get higher visibility. The biggest challenge here is that these artists don’t have access to internet. So there needs to be a good amount of groundwork to get their products online and sellable. There should be an organization that aggregates goods from cottage industry artists and directly supplies them to the consumers, making the artists visible on the internet, and taking a small cut for process costs. Can we possibly link the cottage industries to Corporate Social Responsibility (CSR of Medium and Large Scale Industries ? One idea is to supply hand made paper and cloth bags to big grocery stores like Reliance Fresh in India, and including this as part of Reliance’s CSR to directly help the individual cottage entrepreneurs. 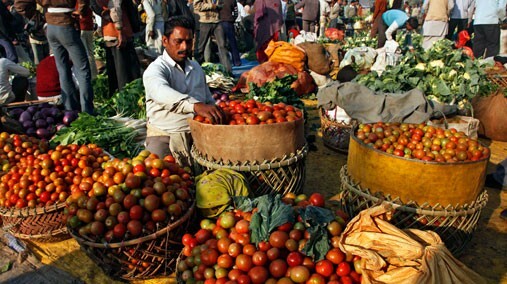 India recently passed a very important piece of legislation, the Food Security Bill. This is an ambitious piece of legislation. It has dramatic costs, and equally dramatic outcomes if successfully implemented. 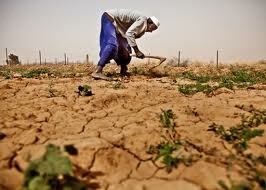 The task is to read the text of the food security bill and other relevant documents, and produce a summary sheet of the principal provisions, costs and putative benefits of this bill. Ayna Agarwal is a Symbolic Systems undergraduate major at Stanford (class of 2014). She is a co-founder of she++, Stanford’s first conference on women in technology. You can find out more about she++ at http://sheplusplus.stanford.edu/. Ayna wants to pose the following challenge. Teens do not have an easily accessible, and reliable way of obtaining information about their periods while on the go. They do not feel a sense of community and often do not have a support system to ask relevant questions. • Neilsen Company: The percentage of US smartphone owners in the 18-24-year-old bracket grew 60% between Q3 2010 and Q2 2011, according to August 2011 data. The ‘Teen Issues’ forum on one period tracker app has 1,992,796 posts on it. Clearly, there’s a need. Create a forum that enables teachers, nurses, peers, and parents to respond. 1) Pads +Tampons; 2) Signs of your first period; 3) PMS; etc.